KABUL -- Growing differences between the Taliban and the "Islamic State of Iraq and Syria" (ISIS) have prompted heavy fighting in Jawzjan and Nangarhar provinces, causing scores of casualties and the displacement of civilians, say local officials and residents. The relationship between the two militant groups has grown increasingly acrimonious of late. "There are serious and deep conflicts between the Taliban and ISIS in Jawzjan Province, to the extent that dozens from both sides were killed and wounded fighting each other," Darzab District Governor Baz Mohammad Dawar told Salaam Times. 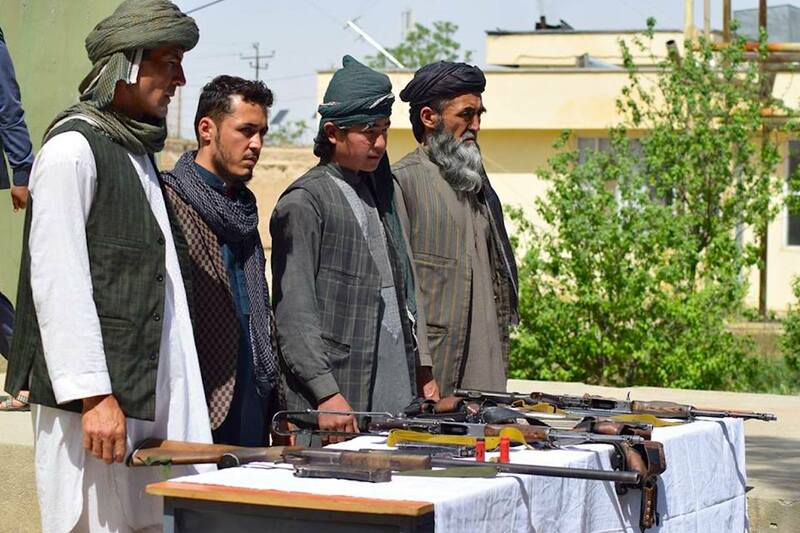 "Recently, the leaders of these groups, at a meeting with their fighters in Darzab and Qush Tepa districts, declared 'jihad' on each other," he said. In one incident about three months ago in Darzab District, ISIS beheaded 10 Taliban members whom they captured on the battlefield, he said. Much of the fighting in Jawzjan Province is aimed at consolidating each group's own position. "Recently, there was heavy fighting between ISIS and Taliban fighters in Darzab and Qush Tepa districts, where ISIS was able to capture some areas such as Chaqma Chaqor village from the Taliban," Mohammad Reza Ghafoori, a spokesman for the Jawzjan provincial government, told Salaam Times. "In order to regain their lost territory, the Taliban called upon hundreds of their fighters from Helmand, Badghis and Faryab provinces to come to Jawzjan," he said October 25. "As a result, there have been ongoing heavy clashes ... for the past five days." The fighting has left 44 Taliban militants dead, including the Taliban shadow governor for Badghis Province, and 10 others wounded. ISIS has lost 10 fighters with eight wounded, according to Ghafoori. "In a clash between Taliban and ISIS militants on September 20 in Qush Tepa District, 20 Taliban and six ISIS militants were killed," he said. "ISIS fighters burned the corpses of five Taliban militants." 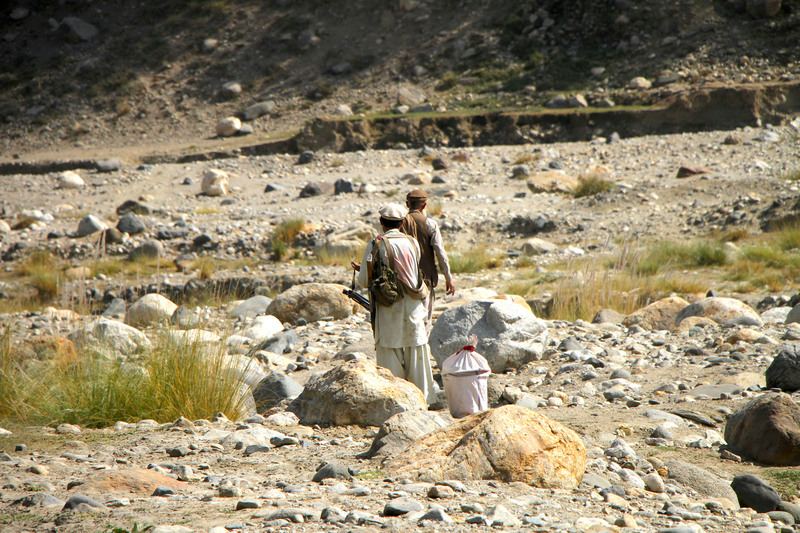 The Taliban-ISIS clashes have caused civilian casualties and forced many to flee their homes. A woman was killed and six children were wounded in a clash October 23 between Taliban and ISIS fighters, Azim, a resident of Chaqma Chaqor village in Qush Tepa District, told Salaam Times. "Furthermore, several homes caught fire and were destroyed after being hit with [militant] rockets," he said. "Today, all the shops and bazaars are closed due to the fear of a stepped-up war between Taliban and ISIS, and local residents are faced with a lack of food supplies." "In addition to the oppression imposed by the Taliban and ISIS on local residents, people who reside in areas under their control are paying a hefty price for the war between the two terror groups," Naeem Qarlaq, a tribal elder from Jawzjan Province, told Salaam Times. "During the past four days, more than 400 families have been forced to leave their homes and seek refuge in the centre of Jawzjan because of the ongoing clashes between the Taliban and ISIS," he said October 24. Ghafoori confirmed reports regarding the civilian casualties, as well as the displacement of the families. "Security forces are assessing a major military operation to suppress ISIS and Taliban in Qush Tepa and Darzab," he said. A similar pattern of violence can be seen in Nangarhar Province. At least 26 Taliban and ISIS militants have been killed there in recent battles aimed at capturing each other's bases and in reprisals. "The Taliban have bases in the Wazir, Tangi and Spin Ghar areas of Khogyani District," Ataullah Khogyani, a spokesman for the Nangarhar governor, told Salaam Times. "On October 16, ISIS forces carried out an attack on the Taliban base, where a fierce battle took place. As a result, 14 Taliban and 12 ISIS fighters were killed in battle and many others were wounded." Four local residents were killed and 2 were injured "while 650 families were displaced as a result of battles between Taliban and ISIS militants," he said. 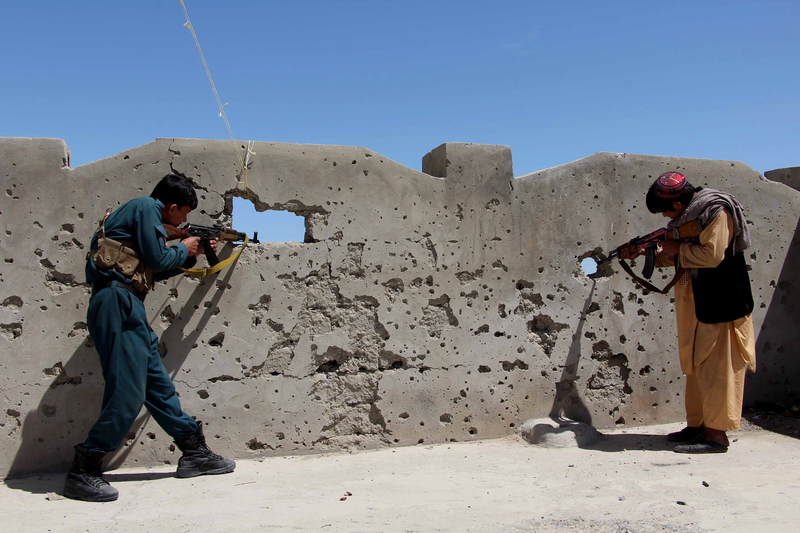 "A few days ago, a fierce battle broke out between Taliban and ISIS in the Spin Ghar and Chapari areas," Rahmat Gol, a local resident, told Salaam Times. "The battle continued for a whole day, during which a large number of fighters from both sides were killed and wounded." "During this battle, several houses of local residents caught on fire, and many families fled their houses and abandoned their property to save their lives," he said. Clashes between ISIS and Taliban groups have resulted in dozens of militants killed and injured, officials say, warning that a 'much fiercer' battle could take place in the near future.